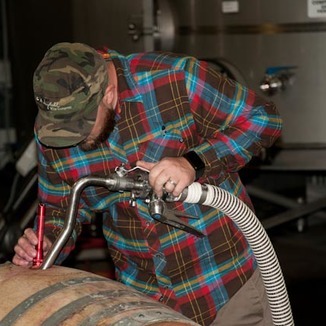 We’ve gone great lengths to bring you a Mounts Family Vineyards wine. So far that we’ve had to seek out other wineries that make their wines from the fabled Mounts grapes. Mounts, you see, sells out of the wines that they make. The good news is that today’s great wine is a Super QPR Steal that we think you’ll love. We guarantee it, in fact! 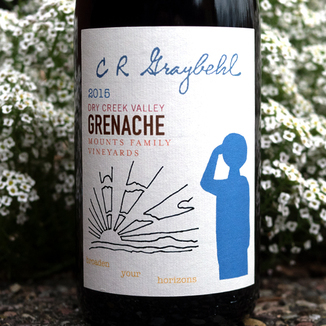 At its core, this Grenache is a nice maroon hue of medium density with an auburn lip. The bouquet is very interesting and approachable, which will have you going back for a second sniff. It showcases fresh berry notes of blueberry, powerful raspberry, and floral notes of roses and lavender. The raspberry note shines through on the palate as well, complemented by anise, melon, pear, and allspice for a quite nuanced combination of flavor. It has very light mid-palate making it easily quaffable, yet the tannin sneaks up on you towards the back for an unexpectedly long finish. Very enjoyable and different. Try this with a dish that’s got a range of flavor sensations such as a walnut and bleu cheese salad with tangerine slices and a tangy citrus dressing. Grenache is one of the most widely planted red wine grape varieties on the planet. The grape is a late ripener that thrives in hot, dry, conditions such as those found in California, Australia, France, and Spain. 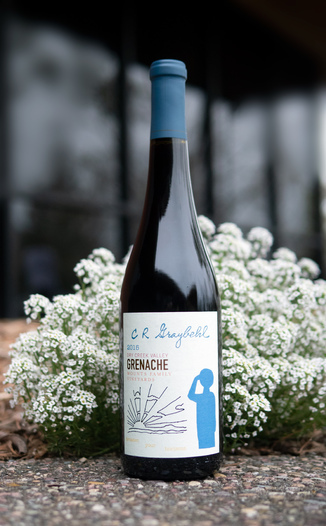 Grenache is usually spicy yet soft on the palate, with darker fruit flavors and a wonderful acidity that makes the varietal a fabulous food companion. Today’s Grenache Noir hails from the Mounts Family Vineyard, in Sonoma County’s Dry Creek Valley. The Mounts family grows a variety of grapes on their hillside estate in Sonoma County’s beautiful Dry Creek Valley. The Dry Creek Valley, across the Russian River from Alexander Valley, has a generally cooler and wetter climate which makes the growing season longer and more flexible than neighboring appellations. This is an area best known for producing rather incredible Petite Sirah, Syrah, and Zinfandel - but small plantings of Grenache are known to thrive here, as well. Nice maroon hue of medium density with an auburn lip. Fresh berry notes of blueberry, powerful raspberry, and floral notes of roses and lavender. Raspberry, anise, melon, pear, and allspice for a quite nuanced combination of flavor. Light mid-palate - easily quaffable. Tannin sneaks up on you towards the back for an unexpectedly long finish. A walnut and bleu cheese salad with tangerine slices and a tangy citrus dressing.